Proposed site of Norfolk Southern headquarters, 3rd Street and Ponce de Leon Avenue, Atlanta. Norfolk Southern plans to build a $575 million headquarters complex in downtown Atlanta, after the city approved a $600 million bond offer to lure the Class I from its current base in Virginia. 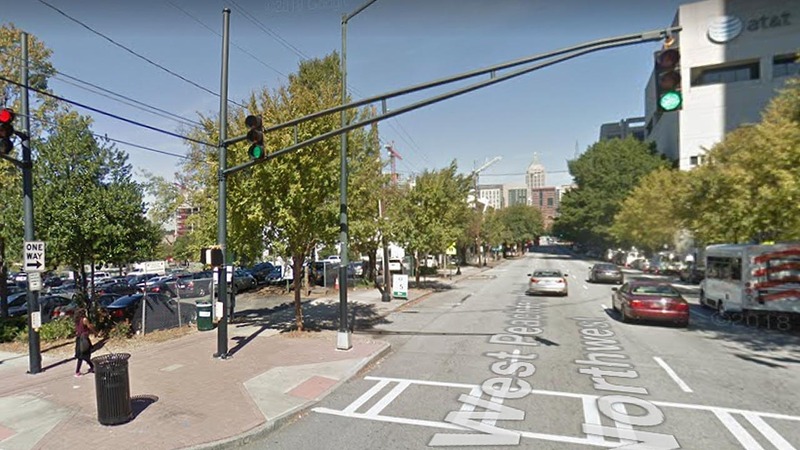 The bond issue by Invest Atlanta included the Georgia Department of Economic Development, Metro Atlanta Chamber and Georgia Power, and clears the way for redevelopment of NS-owned property in Atlanta’s Gulch neighborhood. Norfolk Southern plans to construct the new 750,000-square foot headquarters at 3rd Street and Ponce de Leon Avenue on Midtown’s busy West Peachtree Street, about a mile from its current office. The headquarters move from Norfolk to Atlanta had long been reported; NS has been in the process of relocating its operations team to Atlanta, which was the operational home of predecessor Southern Railway. NS also has an automation lab in Atlanta allied with Georgia Tech. The move would create 850 new jobs while retaining 2,000 existing positions. Norfolk Southern was ready to scrap the deal until the Atlanta City Council voted Nov. 5 to approve the lease purchase bond NS said it required to sell its Gulch property. The railroad sees Atlanta as a better base of operations, observers say, with a major international airport, expansive suburbs, and a large talent pool. The company plans to close on the property early in 2019.